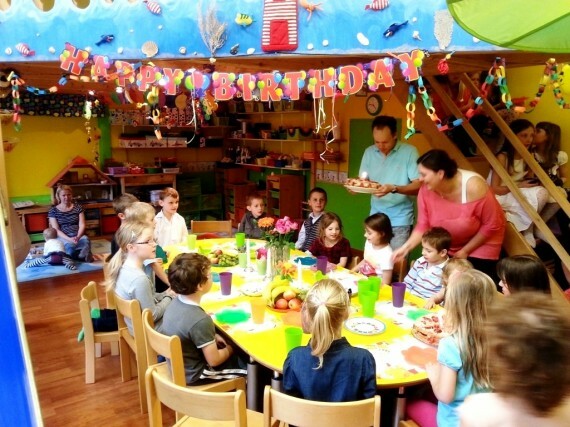 This is a hot venue TIP for children’s birthday celebrations - a subject often discussed between parents; ‘Where to organise a kids party?’ We were invited to my son Marcus’ first love - yes - love (Marcus is 7 btw) and that is how I discovered this really great place. It’s in a czech state kindergarten in Prague 6 that looks like a posh private school. They rent it for weekends at any time and weekdays from 16:30. The cost is 500CZK per hour…a Good Deal! It was truly amazing and I love it when people can be flexible. The Director had this great idea which gives the school additional cash to be spent on resources. They rent out 2 rooms that are connected and a GARDEN equiped as a playground. This garden can be accessed straight from the 2 rented rooms through a patio which is very suitable for a BBQ. 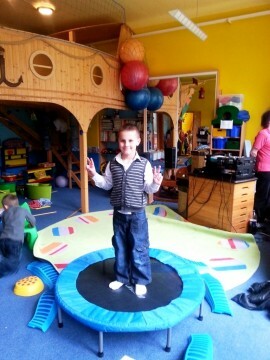 The 2 rooms have toys, 2nd inbuilt wooden floors with a slide. I cannot imagine how great it must be to go to such pre-school. Originally, the party was supposed to be outside but it rained so we didn’t use the garden. Never mind. In both ways it will work just great. Now you are finally curious, where it is? Located in Prague 6, the name of the Pre-School is MS Sbihava - the same name as the street that it’s on. A great location for expats in general. As a part of the deal you get decoration of the 2 rooms and you can freely use the kitchenette including all the kids cutlery and plates etc. Because there are 2 rooms you can have the entertainment in one and let kids and parents rest in the other and because everything is equipped for children, you wont be short on anything. Now - the best part. 1 hour rental costs…500 CZK.. YES!! Where else would you find such space for 500CZK per hour I don’t know. Although, it is recommended to book 3-4weeks ahead.